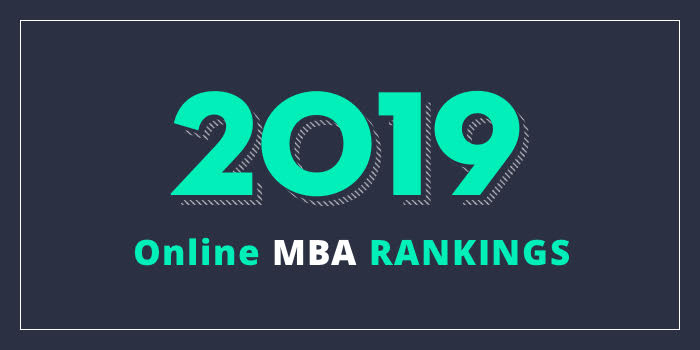 Our 2019 rankings of the Top 10 Online MBA Programs in Pennsylvania. For an explanation of ranking criteria, click here. The LeBow College of Business at Drexel University offers an Online MBA that the school says is a “highly customizable degree designed to equip you with problem-solving and leadership skills that can be applied across a variety of different industries.” The 49 credit hour AACSB-accredited program “is organized into four 10-week quarters per year (as opposed to the traditional two semester system) which means you can take more courses in a shorter time period.” Sample courses include Managing and Leading the Total Enterprise, Leading Dynamic Environments, Corporate Financial Management, Legal Options in Decision Making, and Business Problem Solving. The RMU Online MBA is AACSB-accredited. The College of Business and Public Management at West Chester University of Pennsylvania offers an AACSB-accredited MBA program that may be completed 100% online. Per the school, courses for the program are asynchronous, “which means that there are weekly deadlines and examination windows, but generally no other set time that you need to log into the course.” This allows students to complete the program on their own schedule. Team projects may require that students meet with other team members at a certain time. West Chester University's Master of Business Administration Program is a 10-course, 30 credit program. All courses are required, and all requirements for the MBA must be completed within three years. However, students attending part-time, taking one course at time may complete the program in less than two years. All students will complete a comprehensive exam in their final semester. Sample courses for the program include Business, Society & Environment, Components of Effective Leadership, Entrepreneurship and New Venture Creation, Financial Analysis and Valuation, Global Operations and Supply Chain Management, Strategic Cost Management, and Strategic Management and Planning. Graduates of the West Chester University’s Online MBA Program go on to earn a higher degree and earnings. Around 39% of recent graduates surveyed have incomes over $100,000. Those graduates report an average increase in salary of 11% after they earn their degree. Around 82% earn over $60,000 annually and those graduates report an increase in salary of 15%. Almost 10% go on to obtain doctoral or professional degrees after their West Chester MBA. The Erivan K. Haub School of Business at Saint Joseph’s University (SJU) offers a 33 credit hour MBA that allows students to complete foundation, gateway, core, and elective courses entirely online. There are no residency requirements and students can complete the program at their own pace. The Haub Online MBA may be completed over eight or 15-week semesters, with each semester broken into halves. Students may choose from majors such as Marketing, International Business, Finance, Health and Medical Services, or The Data Intelligent MBA. Sample courses for this AACSB-accredited program include Global Revolutions in Business, Sustainability: A Business Perspective, Excellence in Organizations, Health Care: A Global Perspective, Business Analytics, Ethical Practices in Business, Marketing Strategy, and Shareholder Value Management. Depending on the undergraduate degree, students may be able to finish the Online Haub MBA in as little as one year. DeSales University offers a part-time MBA Program that may be completed entirely online. Offered through the Division of Business, the program has an open enrollment policy that allows students to start the program at any point throughout the year. The program consists of three 12-week sessions, one 6-week summer session, and two 8-week and one 6-week mid-sessions. Around 50 courses are offered per 12-week session, which allows students to finish the degree at their own pace. A degree in business is not required for admission as foundation courses are offered for students who need a basic understanding of business principles. The second largest MBA in Pennsylvania, the DeSales MBA offers 11 concentrations and the opportunity to “self-design” a concentration area. Options include Accounting, Data Analytics, Finance, Financial Planning, Healthcare Management, Human Resources Management, Information Systems, Management, Marketing, Project Management, and Supply Chain Management. A Dual Nurse Executive MSN/MBA, which may be completed online or in hybrid format, is also available and four Graduate Certificates are available. Certificates include Data Analytics, Financial Planning (CFP), Project Management, and Supply Chain Management. The Business Programs at DeSales University are accredited by the Accreditation Council for Business Schools and Programs (ACBSP).